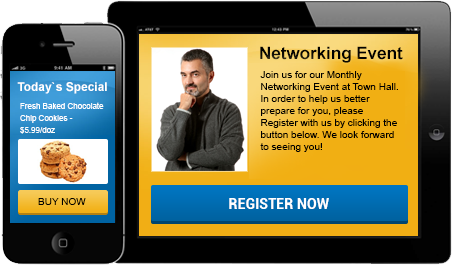 Your buyers are in 69+ places on the web and your information needs to be there too. 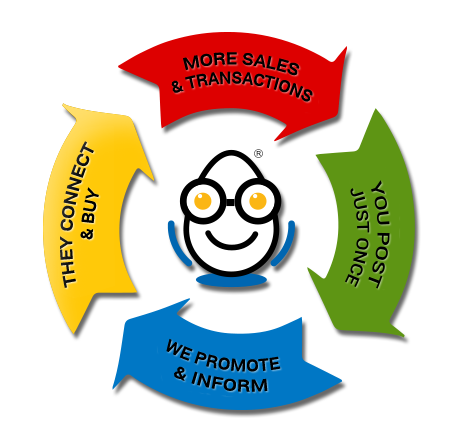 With one easy post, EggZack automates over 8 types of marketing so you can reach 70% to 80% more buyers. Then within each post, we give buyers a call-to-action to buy, transact, or lead them back to your website to learn more. Heck, we can tell you all we want about the amazing results, yet why not let some of our happy customers do the testimonials? If you don’t believe us, ask them. "The Customer Service that EggZack provides is beyond outstanding. Prompt response to issues is unparalleled. Add to that the company's desire to teach customers how to use and manage the software to meet their needs and you have a formula for customer loyalty that is seldom realized by other software companies. It is a pleasure to deal with the Eggzack Team". The products are beautiful and user friendly, and the staff is extraordinarily helpful. Our new web template was developed with ease and has enhanced our professional image. Having the folks at EggZack on your creative team are truly an asset to any organization!